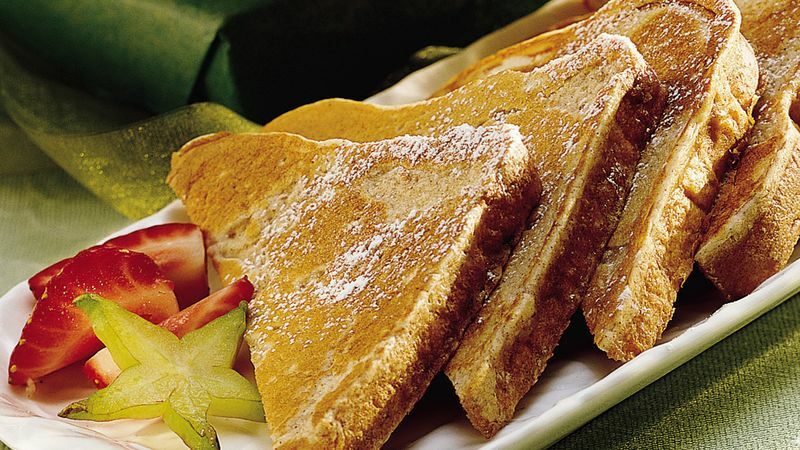 In shallow dish, stir Bisquick™ mix, milk, cinnamon, vanilla and eggs until blended. Dip bread into batter; drain excess batter back into bowl. Place bread on hot griddle. Cook 1 to 2 minutes on each side or until golden brown. Sprinkle with icing sugar; serve with syrup. Serve-With Serve with fresh fruit and bacon strips.